A big "thankyou" to you and Ben for saving our floors after they were treated badly by a non-local rogue floor sander. You were very prompt with your service, understanding and friendly and the finished product was brilliant. There was no rubbish left on site, hardly any dust residue and little or no smell. Walking into our home after Tristan had done our floors was like getting a new home. The wood wash flooring brought a new lease of life to our home and talk about easy to manage with the kids. JUST BRILLIANT! Tristan and his team always kept us involved in decisions and gave great ideas that we hadn’t thought about – for example the new Naturale finish which is glorious. My advice to you is don’t bother shopping around – if you want a high quality result, just stick with Tristan. Tristan came highly recommended and we were not disappointed. He and Ben were very prompt and professional and were very receptive to our needs and ideas. 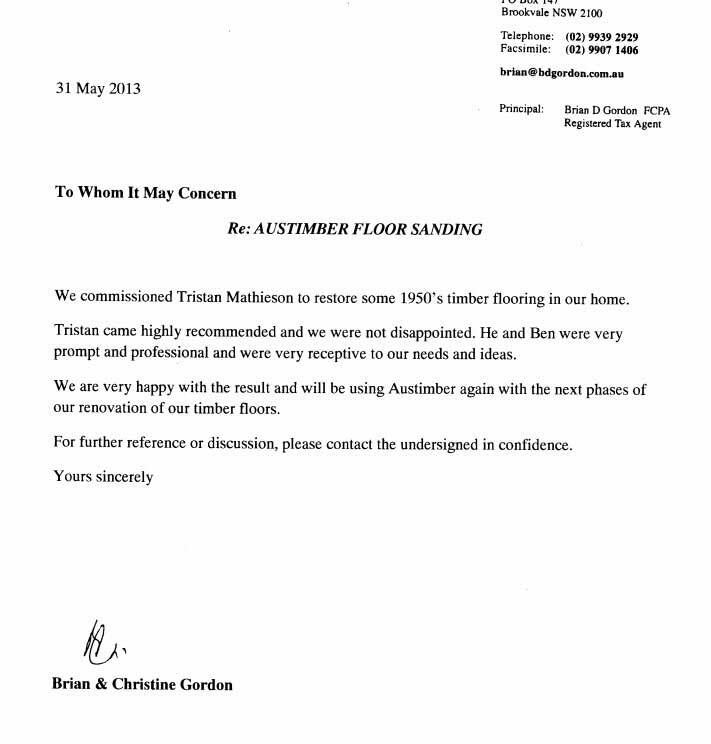 Tristan and his team at Austimber Floorsanding have become an integral part of the Waterview Constructions business. A high quality of workmanship & expert product knowledge are requirements both clients & myself expect when it comes to floor finishes. As we usually need work carried out quickly Tristan has always been most obliging and we have always found his work to be done efficiently with an excellent result and most importantly he has cleaned up afterwards. We have always found Tristan & Austimber Floor Sanding Contractors to be reliable, honest, trustworthy, and proficient in carrying out their work in a trade like manner. Austimber was a delight to work with and your recommendations on remedial work and follow up treatment was also excellent. I wish you all the best and hope you get further work from people who visit the gallery and see the wonderful results. In dealing with our clients, we need to present the best products and the best people to apply them. In Tristan, we have both...ensuring himself and his workers are punctual, professional and always conveying a friendly manner. Tristan & his staff were friendly & helpful...They were very hardworking & also kept the house & surrounds as clean as possible...My wife and I are delighted with the finished product & consider that it has greatly enhanced the value of our property.